Queen's Film Theatre is preparing for a busy weekend of events that includes special appearances by directors Aislinn Clarke and Jim Sheridan as well as events with film critic Mark Kermode and the cast of Derry Girls. QFT, Northern Ireland’s only independent cinema and part of Queen’s University Belfast, is currently hosting a month-long programme of events throughout October under the QFT50 banner to celebrate the breadth and diversity of film presented throughout the cinema’s fifty year history. A number of high profile events are taking place this weekend, including a sold out screening of The Devils Doorway, followed by a Q&A with the director Aislinn Clarke who is a Queen’s University alumni and a former QFT usher. The movie is set in a Magdalene laundry and is the first horror movie to be directed by an Irishwoman. Brian Henry Martin will host a Q&A with Jim Sheridan, following a screening of his movie My Left Foot which was a huge hit at QFT on its releases in 1989. My Left Foot tells the inspiring true story of Christy Brown who, despite only being able to control his left foot, became a famous artist and writer. 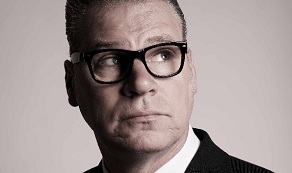 Mark Kermode will be hosting two events across the weekend. On Saturday 20 October the famous movie critic will introduce a screening of Irish animation company Cartoon Saloon’s Oscar nominated The Breadwinner as part of his annual Cinemagic Film Night, in partnership this year with QFT50. On Sunday 21 October, Mark will give a talk as part of his “How Does it Feel?” book tour which will recount his utterly foolhardy attempts to fulfil his dreams of becoming a pop star. Mark will be signing copies of his book, How Does it Feel? – A Life of Musical Misadventures after the show. On Tuesday 23 October, the cast and crew of hit Channel 4 show 'Derry Girls' will be at the QFT for a screening of the last two episodes of Derry Girls Season One, followed by a Q&A with the cast. Joan Parsons, Head of QFT Belfast said: "QFT50 has been running for a couple of weeks now and we’ve been blown away by the enthusiasm of the public. People have flocked here to see QFT favourites, new releases and hear interesting talks and presentations. It's been really refreshing to see so many people coming to QFT for the first time and also to see so many old friends. "This weekend will see a number of high profile events and we’re glad to welcome Aislinn, Jim and Mark to join us in celebrating the fiftieth anniversary of this beautiful cinema. "Over a couple of days people will get the opportunity to come down and hear Aislinn who has just directed her first feature film and Jim who has been nominated for almost every award going and won half of them. This month has really showcased our proud tradition of promoting new and local talent and showing a wide range of films. Director of My Left Foot, Jim Sheridan said: "I am really looking forward to coming to Queen's Film Theatre to attend this screening and Q&A session. QFT is a beautiful cinema and I am so glad to see it still being so successful after fifty years. “It’s important, to promote and maintain independent cinemas where we can. They have the ability and the freedom to try new things, to show movies that people won’t have the opportunity to see anywhere else.